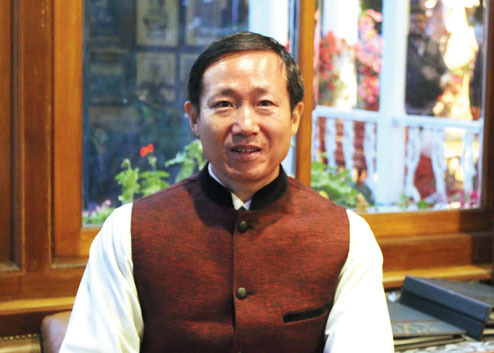 Ma Zhanwu, the consul general of China in Calcutta, has invited the faculty members and students of Darjeeling's two top schools, St Joseph's (North Point) and St Paul's, for an educational exchange tour of China. The invitation, which is a rarity for schools based outside major cities, comes at a time Bengal chief minister Mamata Banerjee has been called by the Chinese Communist Party and the government to visit their country soon. During an interaction with The Telegraph in Darjeeling today, Zhanwu said: "Yesterday, I visited St Joseph's and St Paul's, which impressed me greatly. We have invited the directors, faculty members and students of both the schools to visit China in coming months. We are working out the details." The diplomat said such interaction could also see a steady inflow of Chinese students to the two institutions. Educational institutions in the hills have attracted students from across the world. There are students from Hong Kong, too, but Chinese citizens have not enrolled in the hill schools. "The exchange programme would help learn how high schools and primary schools are run in China and students would also get to know about things and classes in China. Chinese would also want to know about such legendary schools here," said Zhanwu. Fr Shajumon CK, rector, St Joseph's School, said: "We are looking at the possibility of visiting China. It is for the first time that such an invitation has come."